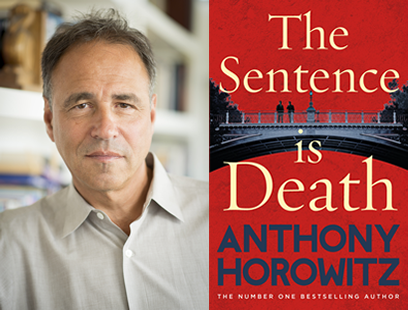 Join one of Britain’s most prolific and successful writers Anthony Horowitz as he talks about his new book The Sentence is Death. Anthony Horowitz is the author of the bestselling teen spy series, Alex Rider, and is also responsible for creating and writing some of the UK’s most loved and successful TV series, including Midsomer Murders and Foyle’s War. He has also written two highly acclaimed Sherlock Holmes novels, The House of Silk and Moriarty; two James Bond novels, Trigger Mortis and Forever and a Day; and his most recent stand-alone novel, Magpie Murders. The Word is Murder was first in a new series of crime novels starring Detective Michael Hawthorne, now followed by The Sentence is Death. We’re delighted to bringing Anthony Horowitz to Oswestry for this lunchtime event. Don’t miss this chance to see and meet him.